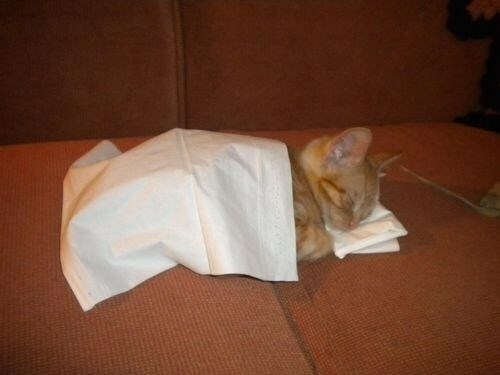 Cute kitty pics like this make me want to adopt one! Stooooop with the cute pics! I love sleeping cats — so cute. I love it when our cats curl with the girls at night. So sweet. Cute animal photos always make me smile and cheer me up.